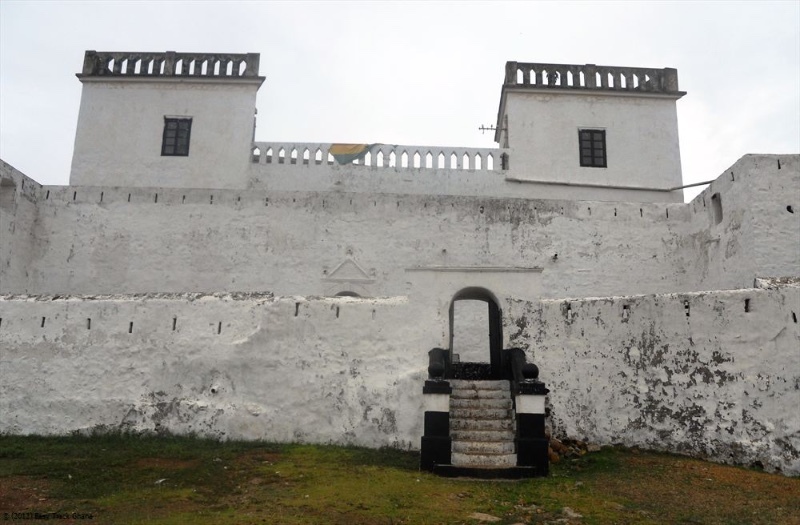 Fort Saint Anthony (Portuguese: Forte Santo António; Dutch: Fort Sint Anthony) was a fort built by the Portuguese in 1515 near the town of Axim, in what is now Ghana. In 1642, the Dutch captured the fort and subsequently made it part of the Dutch Gold Coast. The Dutch expanded the fort considerably before they turned it over, with the rest of their colony, to the British in 1872. 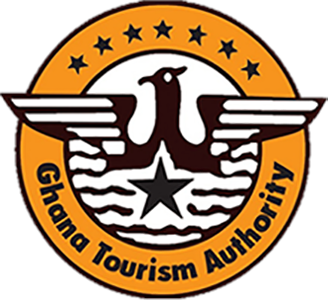 The fort is now the property of the Ghanaian state and is open to the public. 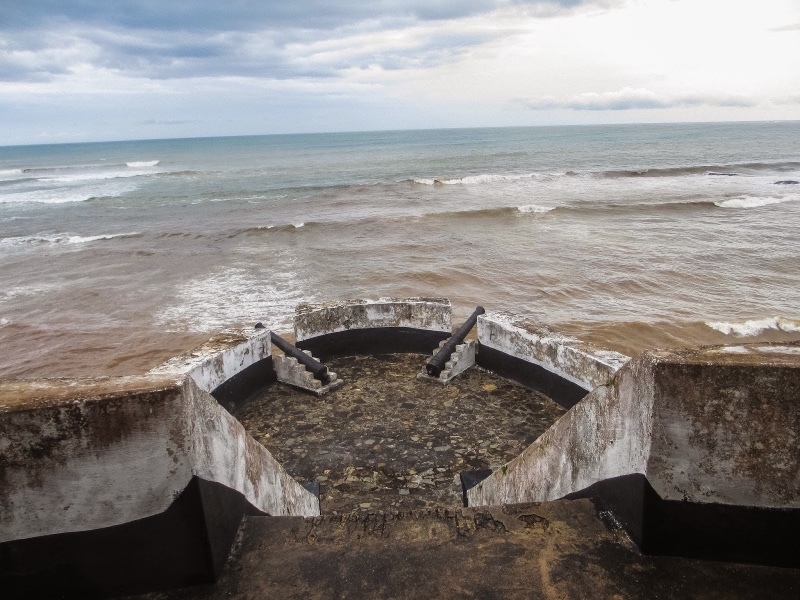 The history of Fort St. Anthony, located in Axim in the Western Region of Ghana, partly illustrates the motive for the construction of heavily fortified forts on natural elevations – especially on a rocky one that juts out into the sea. 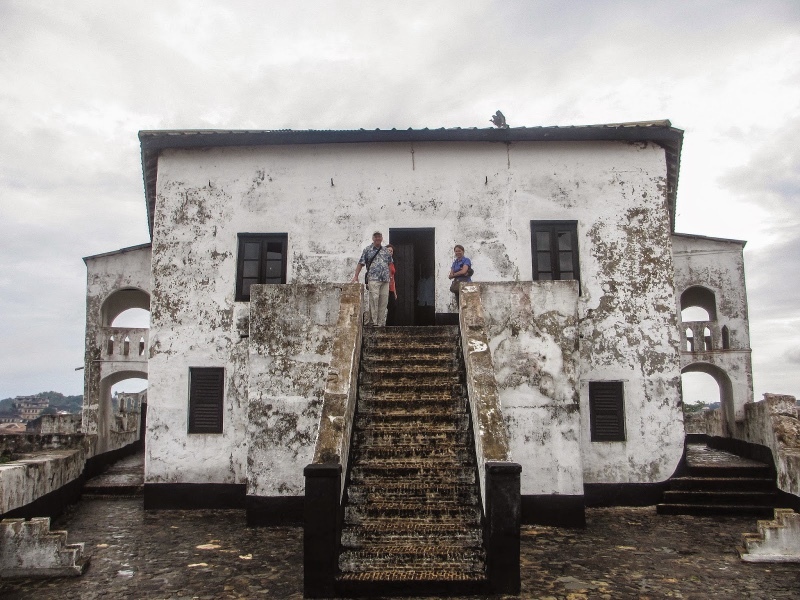 In 1503, the Portuguese had built a trading post in Axim, near the edge of the River Ankobra, but they had to abandon it due to insistent attacks by the local people. They then constructed, in 1515, a massive triangular fort on a small promontory closer to the River Ankobra. 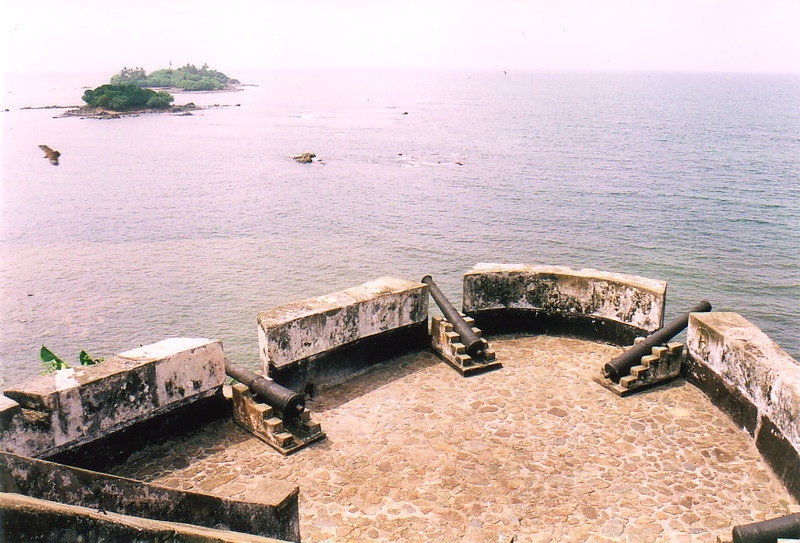 Named ‘Santo Antonio’, it was the second Portuguese fort built on the Gold Coast, after St. George’s Castle (Elmina Castle). To enhance its defence on the landward side, a three-metre deep rock-cut trench was constructed. 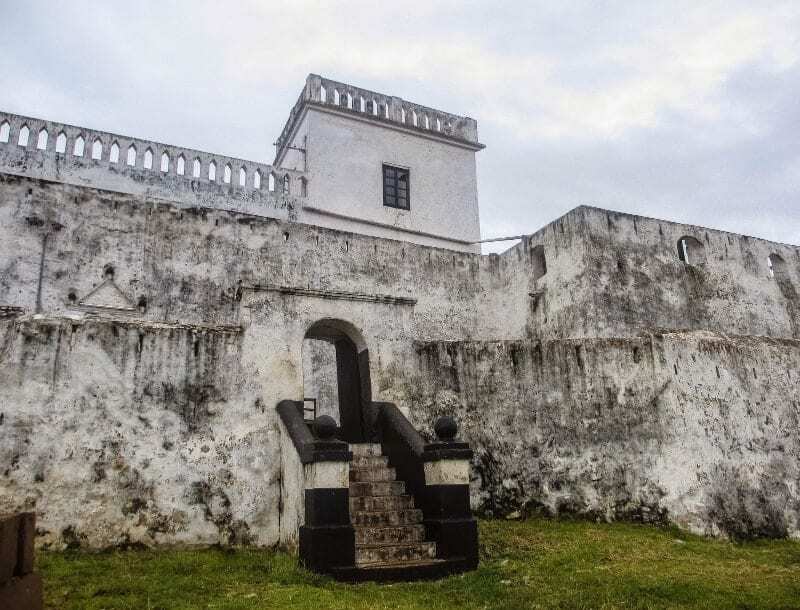 The effective defensive capability of Fort St. Anthony was revealed by its ability to withstand attacks for over four years, even after the fall of Elmina to the Dutch in 1637. Having no rival in the surrounding gold-rich lands of the Ankobra and Tano River valleys enhanced the economic viability of the fort; gold traders from Adanse and Denkyira frequently visited the fort. However, between 1670 and 1720, with the construction of rival forts in the bays east of Axim, Portuguese trade monopoly was ruined. The fort was expanded by the Dutch some of these expansions were to improve defence while others served to house slaves before they were loaded onto transport ships. 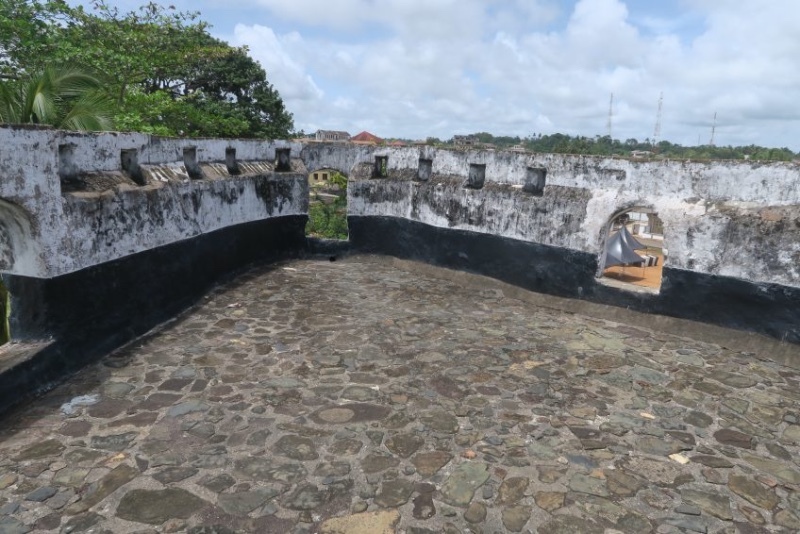 The fort was known as one of the main regional slave trading posts during the 18th century when they received a steady supply of slaves from Ashanti. By the 1720s, St. Anthony had become a Dutch fort. The fort is reported to have amassed ‘more gold at Axim than anywhere else together, especially after the dissolution of the Brandenburg Company and the death of John Conny (see Fort Gross Fredericksburg). The area was also an important source of timber and cotton for Dutch plantations. The fort was ceded to Britain in 1872. The fort’s 17th-18th-century panelling is one of its archaeological fortes. In the 1950s, it was rehabilitated for use as government and local council offices. It is the proposed site for a museum and restaurant.